Ever wonder how you might be able to make your life more productive? 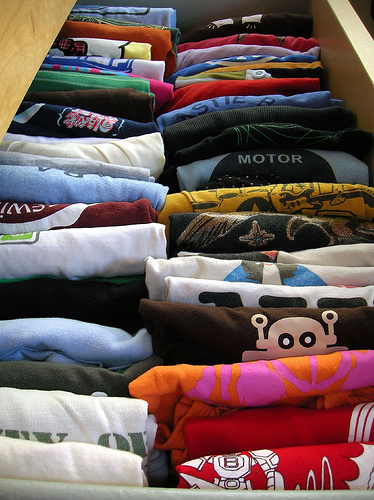 Well, the answer lies in the implementation of some simple but essential tips, or what we at EZ Storage like to call “life hacks.” Once you learn how to question the normal order of doing things, like something as simple as folding your t-shirts, you’ll be amazed at how you can increase your productivity and live a simpler life. Seriously, you must read on. The best way of achieving more, everyday, is to jot down ideas into a whiteboard. This is great since you can do it anywhere thereby increasing productivity. Use a plastic bottle to boost the Internet connection of your PC or laptop. When carefully placed near a computer, a plastic bottle can tremendously assist you in receiving a stronger Wi-Fi signal. It can be simple to increase your intelligence. Just play a few online brain games every day. You’ll be surprised by how much your IQ will be increased within a few weeks. Many people usually lose items such as books, clothing or DVDs when they lend them to friends. Although a few trusted friends will return your belongings, some will simply forget. Keep track of the things you’ve lent by taking a picture of the item with the person who’s borrowing it. Keep the pictures in a common location so you can easily track all belongings. Are you the type who always loses your phone during a night out? Now you can prevent this by a simple hack. Write on the phone “Phone Lost, Please Return, $$$ Reward Offered”. Then, put this message as the screen saver. In case the phone gets lost, the person who finds it will contact you and return it. Have the reward ready. Look how much easier it is to find your favorite tee! 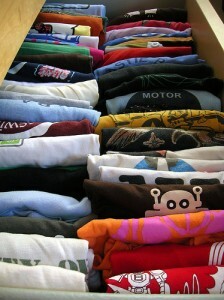 Rather than lay your T-shirts flat and on top of one another in piles inside of your drawers, fold them like the image to the right. If you’re storing clothing or fabric for the season, get our fabric storage tips to keep them in great shape when not in use. Once gum sticks to carpet it just refuses to barge. You can easily remove the stuck gum, and restore your carpet’s appearance, by using WD- 40. Have a bottle stored in the house for this purpose. Everyone has that one pair of pants that constantly unzip (and of course always at the worst moments.) In order to avoid this situation from occurring ever again, simply take a metal key ring, attach it to the zipper and then lock it to the button above once you’ve closed the fly. Family outings can be fun. At the same time, they can be very stressful when your kids wander off. It happens to even the best parents! An essential tip is to take a picture of the entire family lined up when you arrive at your destination. In the event that you get separated, you can easily show the staff the picture for identification purposes. Everyone comes to a point in their lives where they have too many keys to keep straight – and they all look the same. Instead of fiddling with key toppers or constantly being irritated when you can’t find the key you need, simply paint the tops of your metal keys with different colors of nail polish. In general, these essential tips will reduce the amount of tiny headaches that you experience on a daily basis and make you question common methods you use in your daily life. Looking for more life hacks? Check these out! Images by Rubbermaid Products and peyri and licensed by Creative Commons.